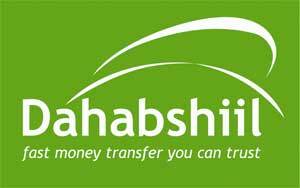 There was an incident that a group claiming to be the cyber hacker or hacktivist group Anonymous has threatened Dahabshiil an international funds transfer company and the leading bank in Somalia, but the international funds transfer company based in the Middle East, says Anonymous was not responsible for the attack on its banking systems. According to the report, The group alleged it was the hacktivist group Anonymous, and threatened to destroy Dahabshiil within two months if the company did not stop what the group alleged as supporting terrorist organizations and terrorists in Somalia and across the world. A group claiming to be Anonymous published thousands of account numbers, names and details online. The hackers claimed it had installed "cyber bombs" within financial institutions around the world and threatened to trigger them if the Dahabshiil did not confess within two months. In the statement the Anonymous group released, the group alleged that it was investigating the bank’s accounts for months after easily bypassing firewalls.“After months and months of fun against these guys who support Terror on earth, we just decided that it was time to destroy them,” read the statement. Dahabshiil told "Following our initial investigation into the cyber-attack, we now believe that earlier reports attributing the action to a particular protest group were inaccurate and exaggerated." “Safeguarding our customers is of paramount importance to Dahabshiil and we will continue to work closely with the relevant authorities to ensure that we identify those responsible,” read the Dahabshiil statement. If in fact the hacktivist group Anonymous did threaten Dahabshiil this will be a new frontier for the group who have targeted websites of the US Department of Justice the FBI and the websites of governments like the United Kingdom, Egypt, Algeria and Libya. The group which does not have a leader or head or a member list and virtually anybody can join, has not been known to go after terrorists or alleged terrorist supporters, but in the alleged statement by the group, it did announce officially its “War on Terror”.